My grandad used to say that bad luck came in threes, and to stop the trouble we needed to break a match. It’s a little tradition I’ve taken into adulthood (and think of him each time), but as I caught myself carrying out the ritual tonight I stopped to think about it a little more. I know that “three on a match” – that is three cigarettes lit from one match – was deemed unluckily in both the First and Second World Wars, and was thought to foretell the death of one of the triplet. It is suspected that the superstition may even go back to the Crimean War for its origin. My grandad’s time in Monte Cassino during WWII would have certainly needed all the luck he could get, and is undoubtedly where our family superstition came from, if altered. But what is it about the number three? 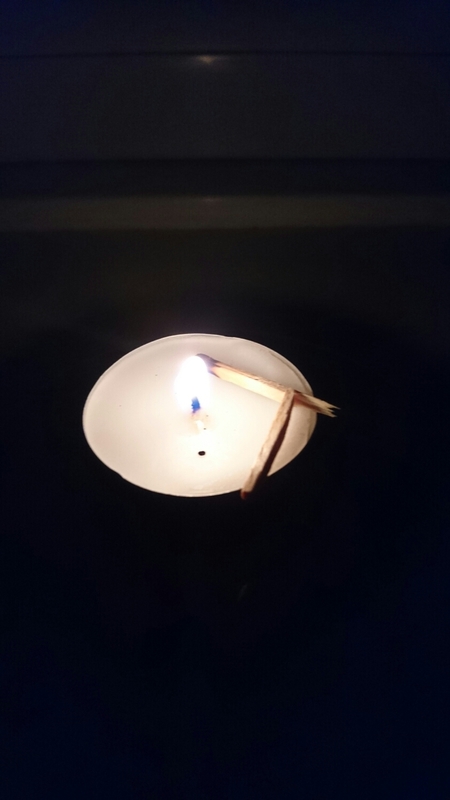 In the case of the match, it is sometimes thought that keeping a flame lit long enough the light 3 cigarettes would give the location of soldiers away to the enemy, but it’s bad luck connotations appear elsewhere. Apparently three butterflies on a leaf is also unlucky, and an owl calling three times will bring misfortune. On the flip side, it is seen as good insofar as it represents the holy trinity, and the stages of creation and life for cultures such as the ancient Babylonians and in the Chinese tradition. This entry was posted in English folklore, Folklore and tagged #Folklore #Superstition. Not a belief I’d come across before but it sort of makes sense where back luck was concerned. Perbaps the superstition dates back to when matches were called lucifers, so that snapping the match would break the Devil’s hold on your fate line?